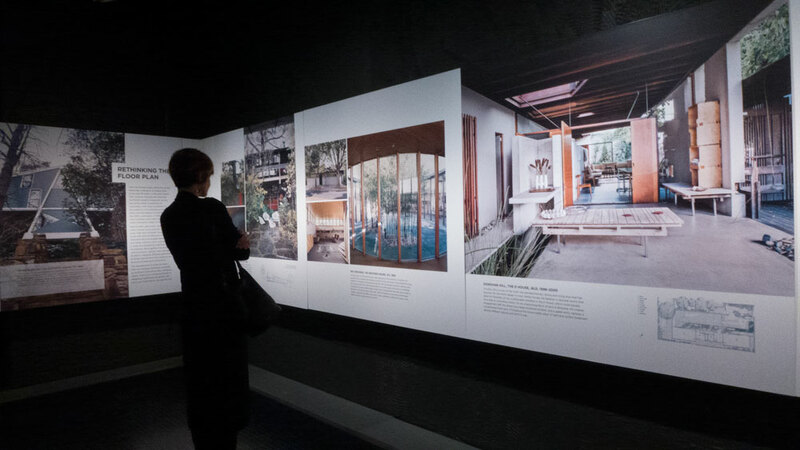 Over the years I have ventured into many exhibitions on Australian architecture. Most have been so badly put together that to call them boring is an understatement. This is not to say that the architecture is the problem, it is clearly that bodies such as the Institute of Architects know how to talk themselves but have little idea of how to market to the wider general public. Several year’s ago I can recall talking to the architects institute’s marketing person about one of their national award exhibitions. After being asked for my comments on the exhibition, I pointed out that there were so many good photographers contributing to the exhibition yet the panels looked terrible. All the large photographs had been printed with a heavy dull cast to them, so much so that some details were hard to decipher. I also pointed out that the graphic design work may have looked appealing to architects who like to gaze at their own work, but that the whole exhibition was not user friendly for members of the public. Remember I was asked for my comments! Alas, all I experienced from the conversation was glazed eyes and a polite smile. They were obviously trained as some form of generic marketing person but they did not demonstrate any real clues about exhibitions, aesthetics or design. This was a shame as the opportunity to display some interesting architecture and good photography was lost. I checked later and was told that besides the usual crowd of architects, the general public did not visit in any form of significant numbers and those that did generally did not to stay for long. This has not stopped the general public from being interested in good architecture, as that is the nature of the business. We all wish for so much more good design in our street, our suburb and our cities. When a good exhibition of architecture hits the walls, people do get along. 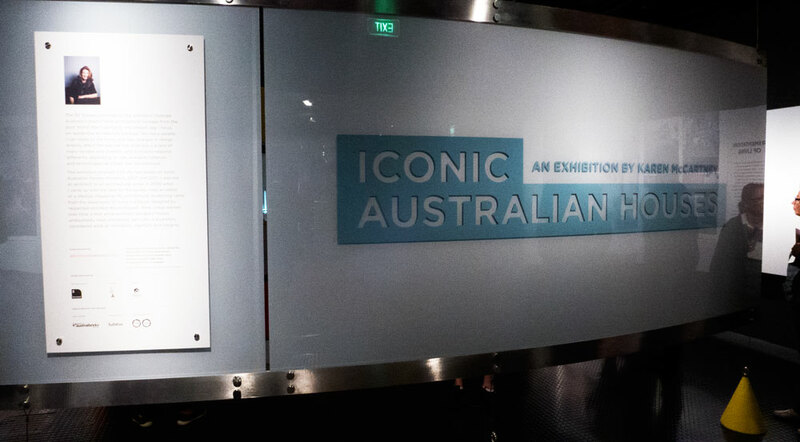 Such is the situation in Sydney at the Museum of Sydney with the exhibition, Iconic Australian Houses. click here. Apparently the Australian Architecture Foundation know more about marketing to the public than those at their own Institute of Architects. This exhibition, according to the front desk, has been busy. This despite that it costs $10 to gain entrance to the Museum of Sydney and its exhibitions. (although I did notice two people who waited just inside the shop for the front desk to be very busy and then they quickly made their way to the stairs and up to the exhibitions without paying). This architectural exhibition was very well laid out and very accessible. The video presentation was an easy listen and gauging by the people in attendance, it has been very well received. So full marks go out to the Architecture Foundation for putting this together and also to the Museum for staging it so well. Nice job all round. BUT.. It is shame that the Foundation itself is an all boys club – click here.